in the Downtown Paso Robles City Park on July 6, 2019, 10 a.m. to 5 p.m. 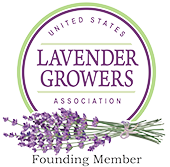 The free event celebrates the lavender industry–an emerging local product–and features lavender producers from throughout the county, who will serve tastes of lavender cuisine, sampling of lavender oils, dipping sauces, lavender ice cream, and education on lavender, lavender growing, and sustainable farming practices. 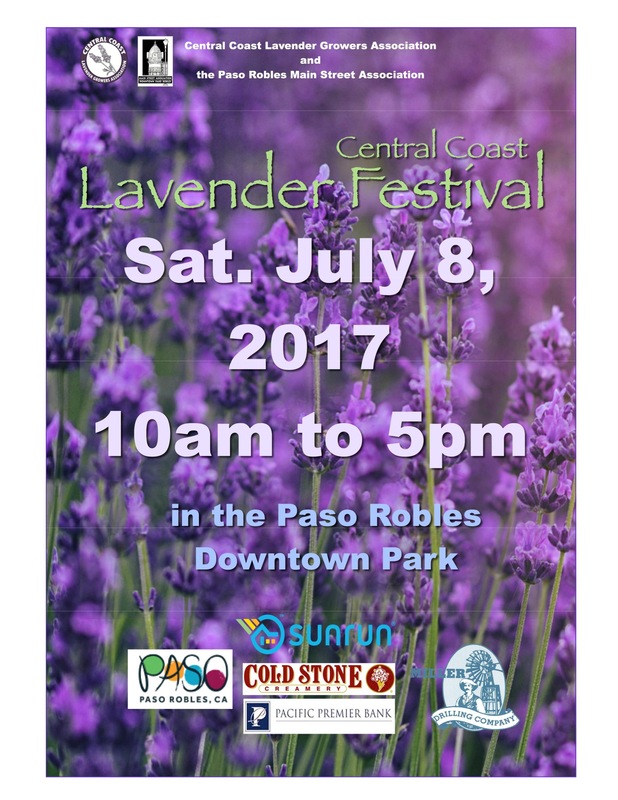 There will be free seminars on distilling lavender, benefits of lavender, and demonstrations throughout the day in the City Park Gazebo. Features: Music, a special children’s activities area, local lavender growers and vendors, arts, a Lavender Tasting Garden with tastes to purchase, and free samples and demonstrations. - Free seminars on distilling lavender, benefits of lavender and demonstrations throughout the day in the City Park Gazebo. 1pm – 1:30pm: Ali & Kitty The Spa Central Coast - 'Lavender in the Spa industry, applications, history and modality'.